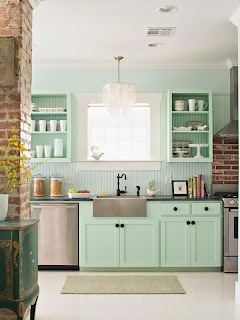 Love the look of open shelving but not able to rip out cabinets? 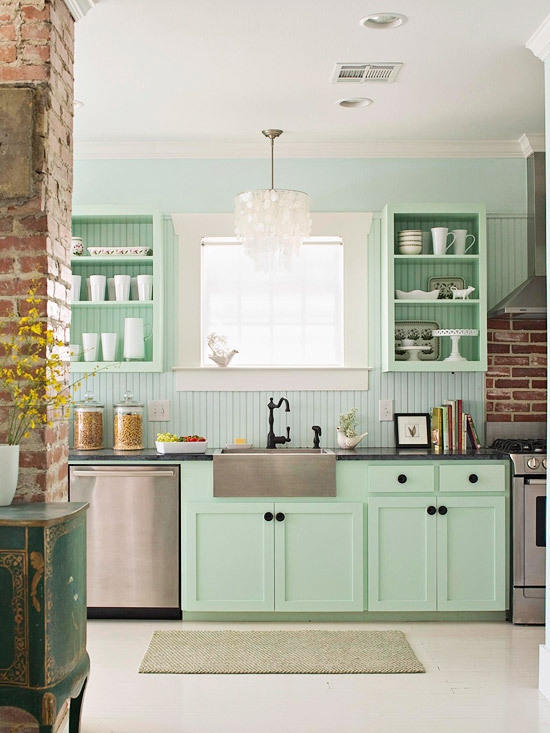 Remove the doors, then paint or wallpaper the backs of the cabinets with a contrasting color. Don't spend money on an expensive new ottoman. Instead, give an old one new life with a simple slipcover. Most slipcovers are machine-washable, and they can be easily switched out as decorating tastes change. Topped with a wooden tray, this ottoman doubles as a coffee table. 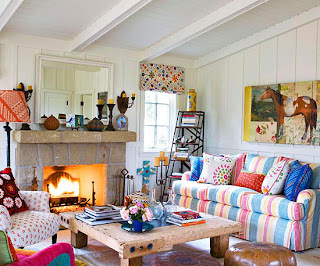 Layer on colors and patterns to add interest to a blank canvas of white walls and/or neutral furnishings. Cover classically shaped furniture with playful patterns and eye-popping colors for a unique style juxtaposition. 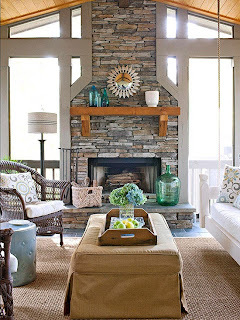 Choose area rugs that won't compete with the bold fabric choices. 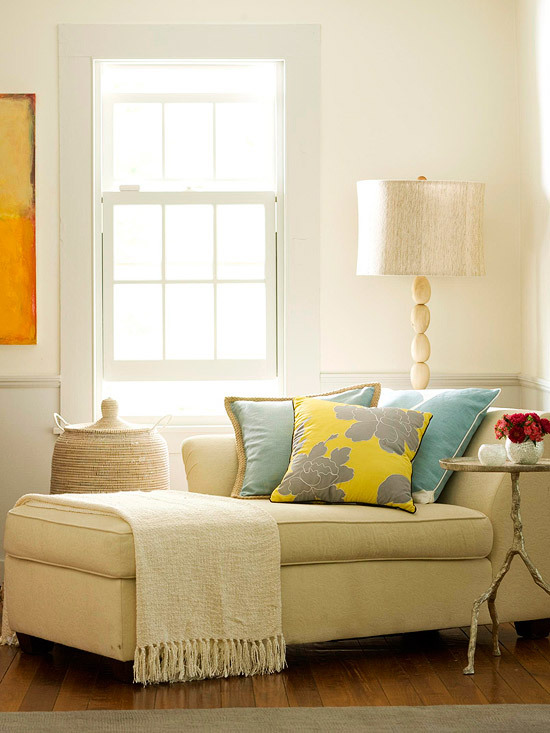 A reading corner or bedside nook becomes much more inviting with the soft glow of a lamp. In fact, don't be afraid to put lamps in unusual places such as the bathroom or kitchen for a fresh look. Wall decals add instant art. 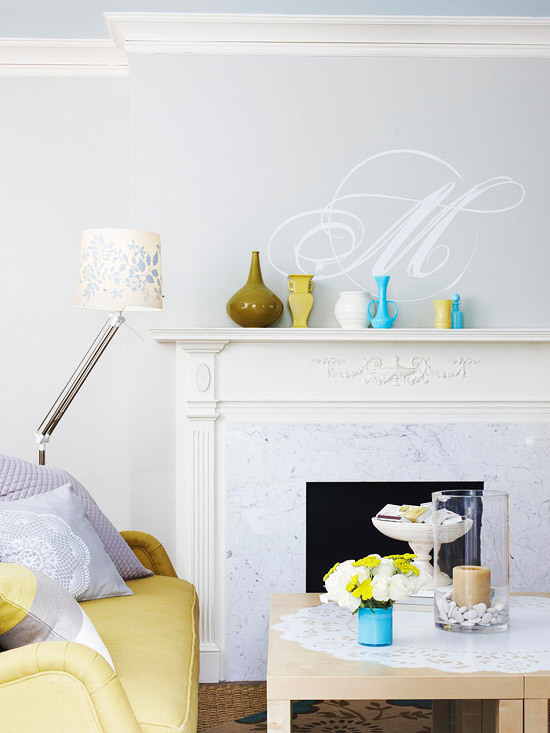 Try a white decal on a colored wall, or a colored decal on a white wall for extra pop! Decorating and organizing go hand in hand for me. Recently I needed to find something to tidy up little things that always land on the countertop at my back entrance. The solution? A steel bread box! The lesson? Everyday things make great decorative organizers. Plaster busts and animal figures add a classic feel, especially if painted in a high-gloss paint. (White is an obvious paint color, but it's also fun to try something unexpected, such as sage or black ~ or green for the little birdy shown here. )ALSO: Give an old lamp new life. Spray-paint the base a bold, glossy color (again white is expected so go bright). 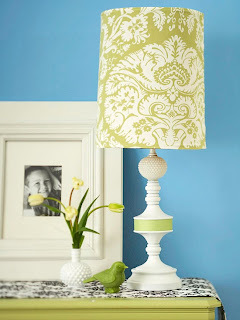 Buy an inexpensive shade, and trim it out with grosgrain ribbon. The lamp will look 10 times more expensive than it is and be unique to your home. A matching bedroom ensemble can be boring, but it's usually a less-expensive route. So go ahead and match, then add your personal touch by painting the bed or one piece of the furniture. I made my matched set seem more my own by painting the bed with a semigloss oil-base white paint. I changed the look of the nightstands, too, with clearance knobs. 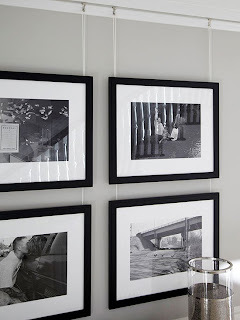 Convert photos you want to group on a wall to black and white or sepia tone. They'll look more artistic and cohesive. Use a stencil to add interest to a blank wall. A quatrefoil-inspired stencil transforms this living room wall into a focal point. 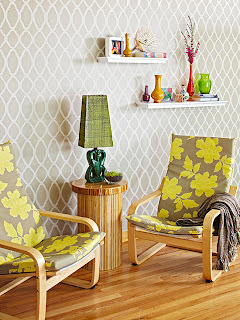 Stencils can also be used to spruce up plain throw pillows, coffee tables, and other flat surfaces. Staircases are often looked upon as mere passageways between areas within the house. Give your stairs an instant and inexpensive style update with a few coats of fresh paint. 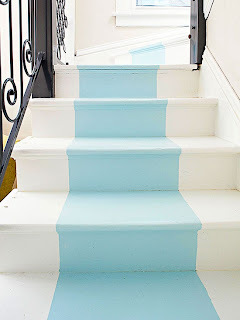 A stripe of pale blue paint down the center of these steps gives the look of a stair runner but costs significantly less money. 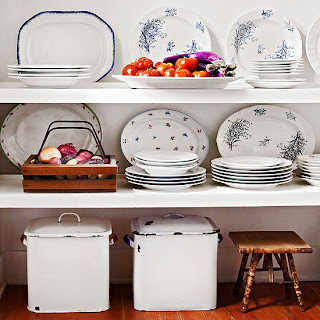 Repurposed everyday items make charming home decor. 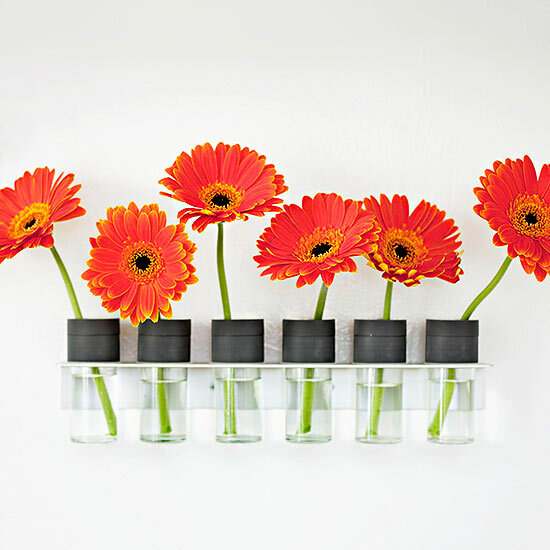 With jars emptied of their original contents, this spice rack serves as a sweet row of bud vases. The pop of color from the flowers and their stems adds character to a white-painted wall. Create personalized art with a shadowbox or "collector's frame." 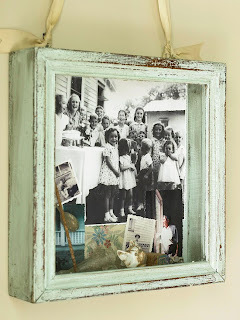 Pin in vintage family photos, memorabilia, pins, ribbons, postcards, etc., to create a story. Or pick a theme, such as a spring garden, first home, or sports moments. 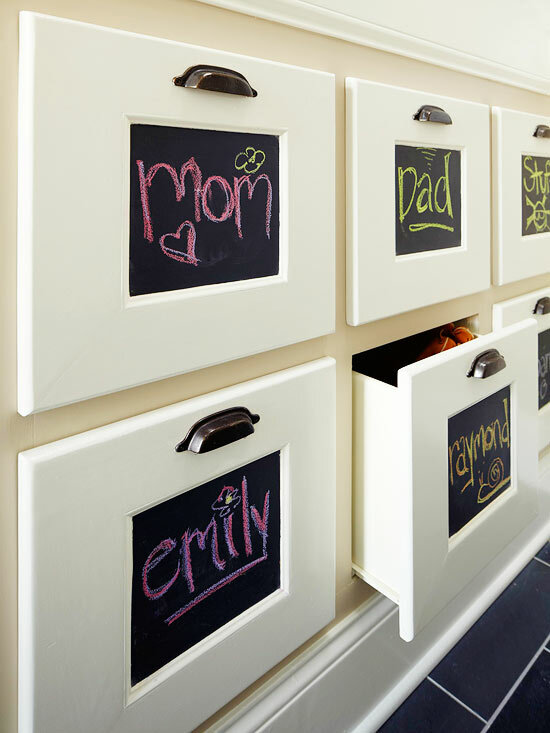 Personalized drawers and cubbies make organizing easy for every member of the family. Outfit your storage solutions with do-it-yourself chalkboard labels, and allow your little ones to express their creativity freely. The hand-drawn names and illustrations function as playful works of art. 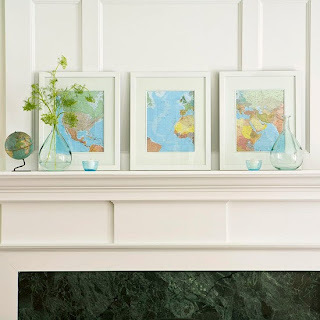 Disparate frames make a mantel or display look junky and lacking a cohesive thought. 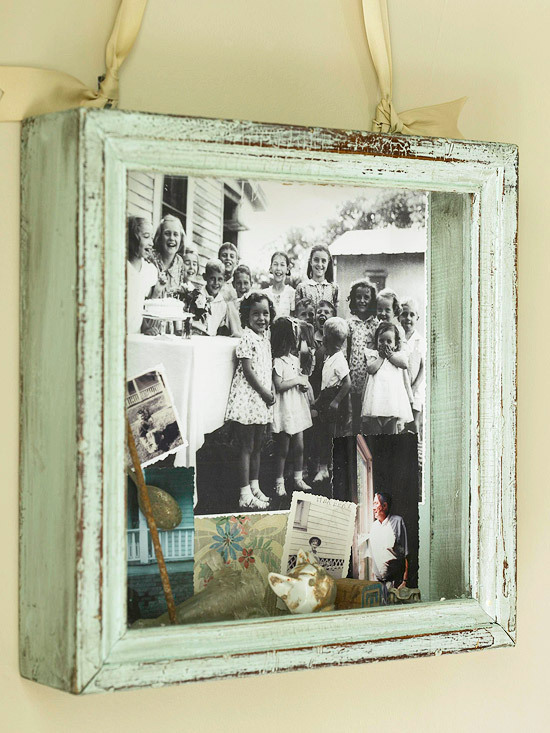 Unify your picture frames in a themed collection. Scout silver frames whenever you can get your hands on good ones. Bone frames are another favorite for a fresh, less-formal look. 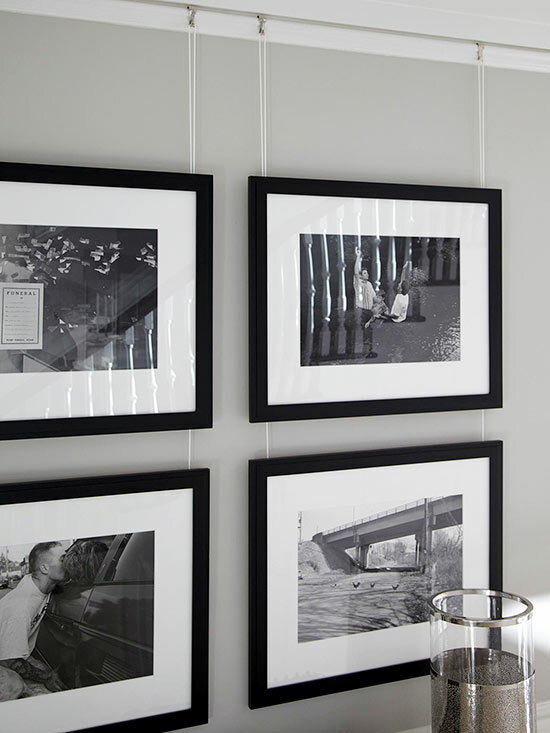 Even simple white wood frames transform a random photo fest into a gallery. Use a road atlas as pictures ~ even make a memory collage using the states.countries of the places we've traveled together!